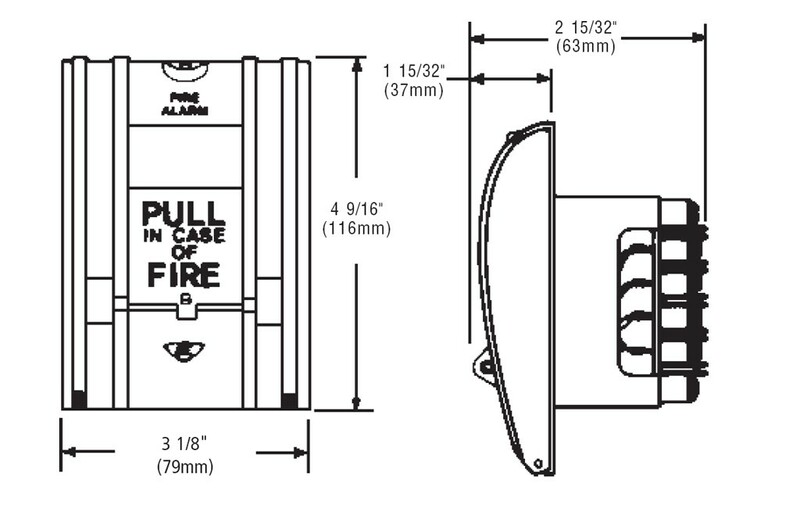 The 270 Series fire alarm pull station is for fire alarm installations in schools, hospitals, factories, and industrial locations. Available in both open and closed circuit designs and has a tamper proof reset function. The station's die cast body is painted red, with painted silver stripes. For replacement glass rods, order Catalog No. 270-GLR (pkg. of 20). The 270 Series mounts on a 4" (102mm) square box with single gang plaster cover. 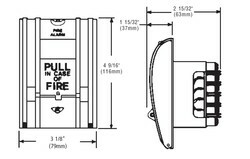 It may be surface mounted using the P-027193 cast back box or the P-039250 steel back box. For weatherproof mounting, order the Catalog No. STI-3150. Wiring diagrams for 270, 276B, 277B, 278B, & 279B pull stations.